Simon Says Stamp - Stenciling 3 Ways (and Simon Says Stamp Card Kit Winner)! I hope you're having good week! 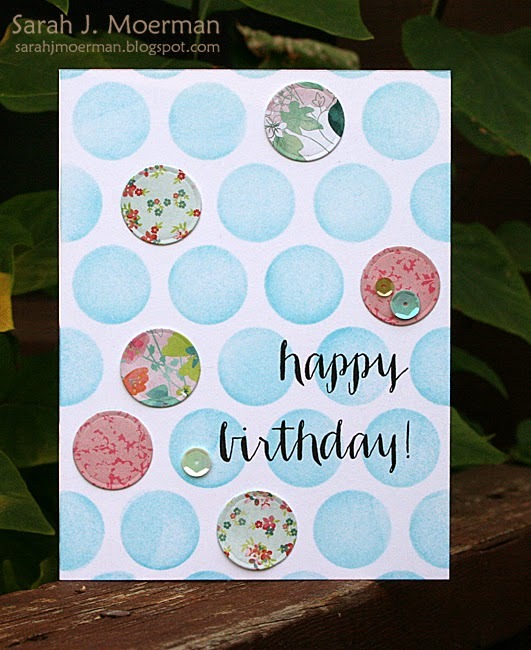 Today I'm showing 3 cards featuring 3 different techniques for using stencils. 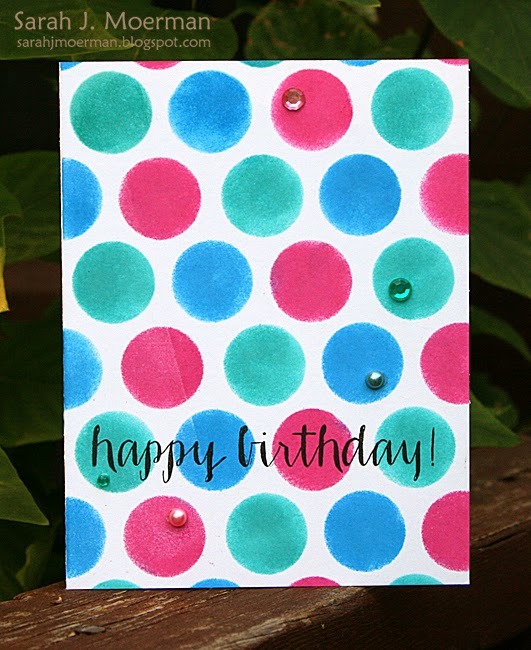 All 3 cards use the new Simon Says Stamp Extra Large Dots Stencil and the 'Happy Birthday' greeting from the new Simon Says Stamp Friendship Messages Stamp Set. 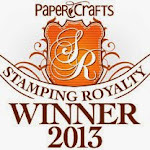 Before I go I have the winner of the Simon Says Stamp July 2014 Card Kit to announce! SSS just keeps coming out with great kits. Love this one. I like the watercolor look on your first card. More Simon Says Stamp July 2014 Card Kit Cards (& another chance to win one)! 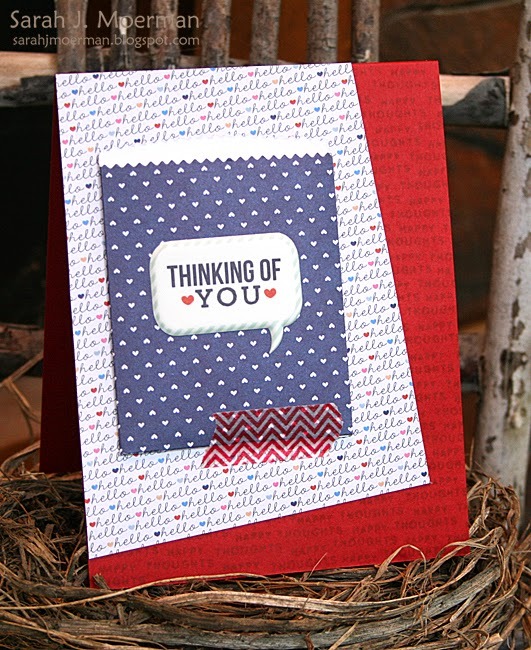 I'm back with 2 more cards featuring the Simon Says Stamp July 2014 Card Kit: Sending Happy Mail! 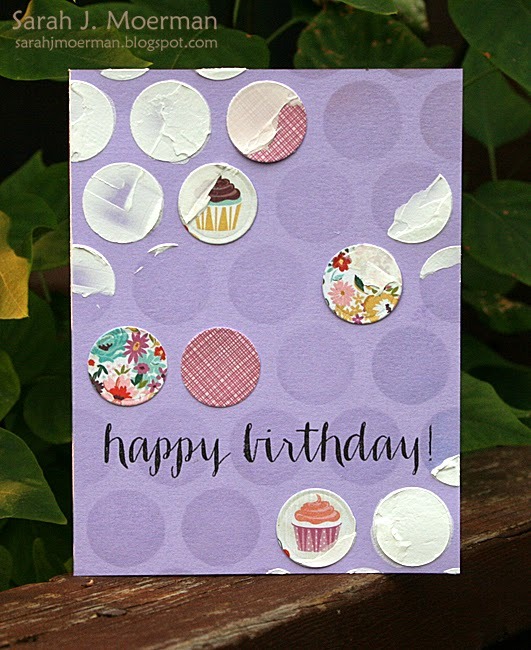 For my first card I used the tiny 'happy thoughts' stamp with the Simon Says Stamp Lipstick Red to create a tone on tone background for my card base. The little bag was die cut using the Paper Smooches Deco Bag Die and was embellished with one of the Pink Paislee Pen Pals Puffy Stickers and a piece of the red chevron washi tape. 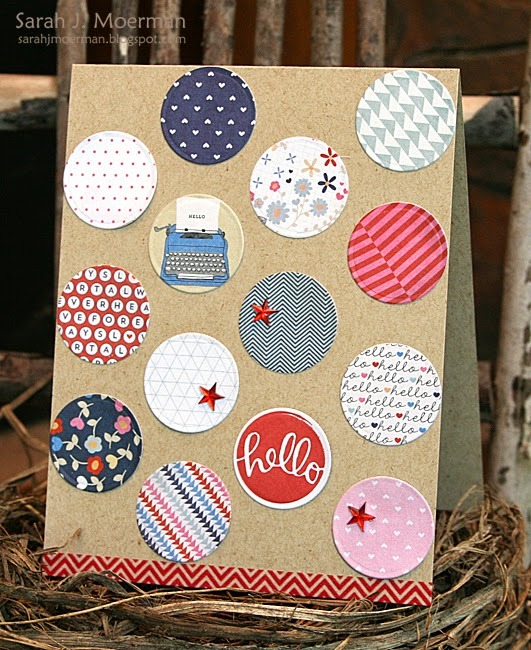 For my second card, I diecut a circle using the MFT Circle Stax One Die Set and stamped the 'hello' sentiment on it with the Simon Says Stamp Lipstick Red Ink. I then used the same die to cut out circles from different Pink Paislee Pen Pals patterned papers and adhered them all to my card. I added a strip of the red chevron washi tape to the bottom, folding the extra over to the back of the card front before trimming it at the sides. Finally, I added some of the red twinkle stars from the kit. Just a reminder that you can pick up the July 2014 card kit HERE for just $24.95 + shipping. Or if you’d like to receive this kit and future kits for only $19.95 + shipping per month, you can SUBSCRIBE HERE. I also have an extra Simon Says Stamp July 2014 Card Kit to give away thanks to sweet Heidi, owner of Simon Says Stamp! Just leave a comment on either of my July 2014 Card Kit posts by the end of today (Monday, June 16th) and I'll announce a winner tomorrow on the 17th. 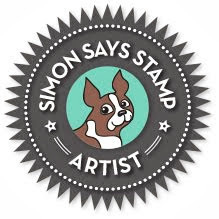 Simon Says Stamp Sale on Exclusive Products!